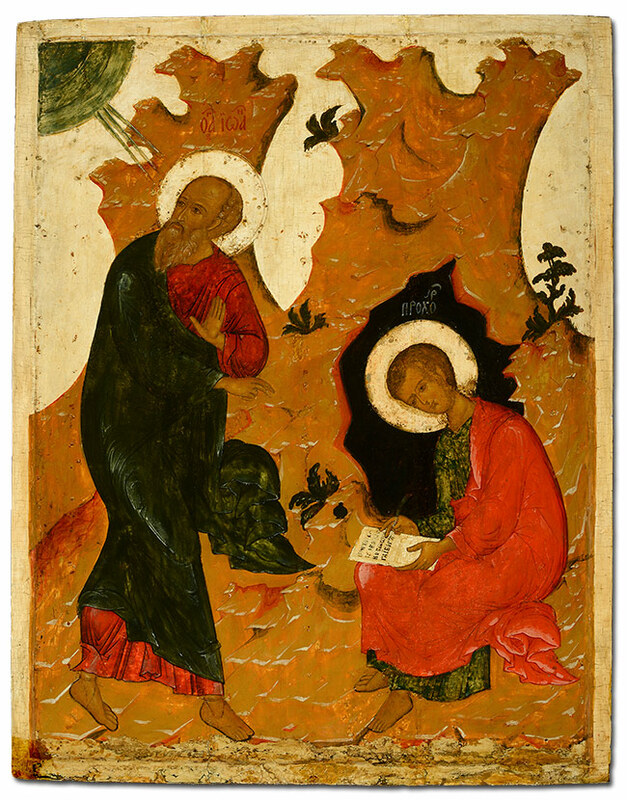 Morsink Icon Gallery is one of the leading international galleries specializing in Russian and Greek icons dating from the fifteenth to the nineteenth century. The company, established in 1977 and located in Amsterdam, has an excellent reputation for dealing in high quality icons. 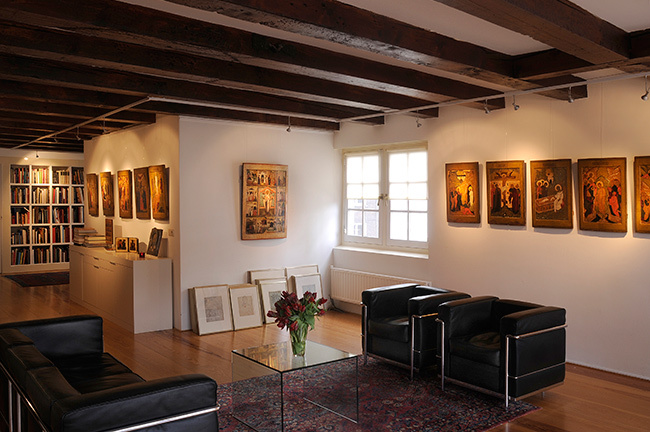 Its directors Simon and Hugo Morsink exhibit annually at the famous international art fair TEFAF Maastricht, and frequently hold exhibitions at their gallery. They are committed to building a solid relationship with their clients. 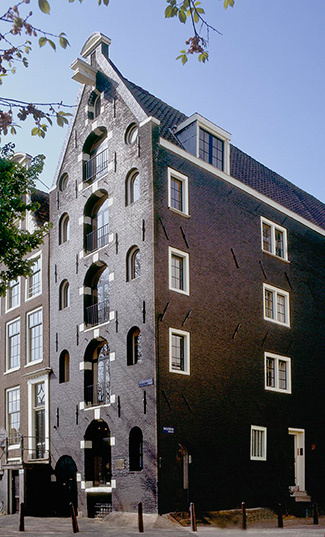 Visitors to our gallery, in a characteristic seventeenth-century canal house at 454 Keizersgracht, will be able to view a great variety of icons from famous centres in Russia (such as Moscow, Pskov, Novgorod and Palekh) and Greece. Whether you are thinking of purchasing your first icon, actively engaged in enriching your collection or perhaps just interested in information on icons, you are welcome to visit our gallery for clear and expert advice. To visit the gallery please make an appointment by emailing us at info@morsink.com or phoning +31 (0)20 6200411. Morsink Icon Gallery meets the challenges of the changing art market. Independent advice on the many and varied aspects of icons has become increasingly important. Simon and Hugo Morsink offer consulting services to private collectors, museums, institutions, auction houses and banks worldwide. Our profound knowledge and years of experience enable us to guide clients through the process of organising museum exhibitions, preparing publications, buying or selling a collection, establishing authenticity and valuing both Russian and Greek icons. 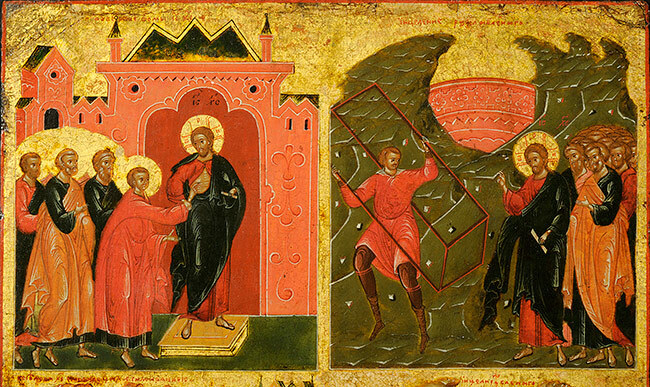 At Morsink Icon Gallery we aim to share our knowledge about all aspects of Russian and Greek icons with private collectors, companies and institutions. Our long history of dealing in icons, since 1977, has allowed us to compile an extensive archive of information and build up a body of experience which we can deploy when examining issues such as authentication, provenance and condition. 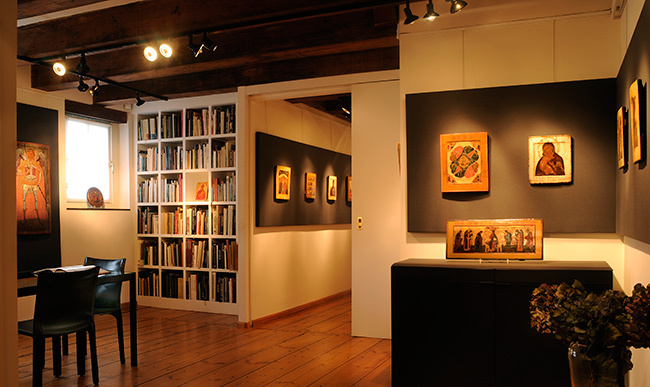 We have collaborated on icon exhibitions and publications with museums such as the Recklinghausen Ikonen Museum in Germany, the Icon Museum in Clinton, Massachusetts, the Bible Museum in Amsterdam and the Catharijneconvent in Utrecht. We are convinced of the importance of maintaining good relations with museums and other icon experts worldwide, for such contacts allow us to top up our knowledge and hone our expertise. We consider good relations with fellow icon dealers and auction houses such as Sotheby's and Christies's to be of equal importance, as these enable us to stay in touch with the actual market value of all types of icons and identify the best opportunities for buying and selling an individual icon or a large collection of works. To discuss how we may assist you, please contact us by email at info@morsink.com or phone (+ 31 (0)20 6200411). 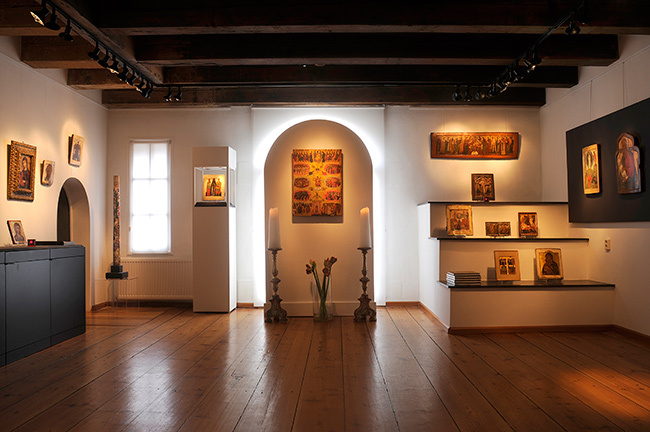 Morsink Icon Gallery (previously called Jan Morsink Ikonen) was founded in 1977 by Jan Morsink (1933-1994), whose fascination with the ancient art of icon painting inspired his decision to specialise in the field. His eldest son Simon (1967) shared his father's passion for art and studied art history at the universities of Leiden (the Netherlands) and Louvain (Belgium). In 1991 Simon obtained his master's degree with a dissertation on Sergius of Radonezh, founder of the Trinity Monastery near Moscow. After Jan Morsink passed away in 1994, Hugo (1970), Simon's younger brother, who had hitherto worked in real estate, joined him at the gallery. During the past 15 years the Morsink brothers have formed a highly successful partnership. Their expertise and collection of rare icons have allowed them to build up a circle of clients who appreciate their ethos of quality over quantity. They have been regular exhibitors at art fairs in London, Basle, Amsterdam and Maastricht. 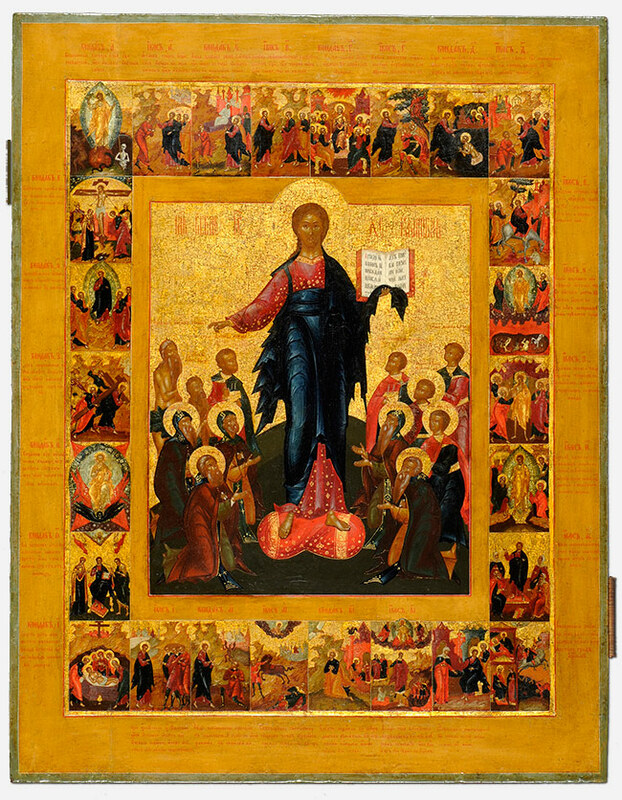 Their list of publications includes several catalogues, an 'Ikonen Lexicon', and a lavishly illustrated book The Power of Icons, which presents some 50 important Greek and Russian icons from the company's collection, accompanied by a number of valuable contributions by internationally renowned experts. Both directors of the company, Simon and Hugo Morsink, have always attached the utmost importance to combining their expertise with total integrity. To penetrate the world of icons requires patience, but most of all an open mind. Only then will icons reveal their spiritual power and enrich your life. How do you start collecting icons? Don't be afraid to enter a commercial gallery and do ask questions. The people working there are sure to know a great deal about the works they are selling. Even if you don't buy anything, you will be personally enriched by the experience. The process of buying icons and ultimately living with icons is a lifetime education; looking at icons is the gateway to this process. How do you decide which icon to buy? When you intend to purchase an icon or establish a collection of icons, you should bear in mind that the most important consideration is to buy what you really love. Living with icons is not a static event; it is a learning process. Buy an icon that appeals to you at a profound level, an icon that moves you in some fundamental way. The second rule of icon buying is equally important: establish contact with reputable galleries or well-known experts in the field of icon painting, for they will advise you what to purchase and guide you through the process of buying a single icon or an entire collection. Listen carefully to their advice and look for an icon dealer who inspires you with confidence. A serious dealer can tell you about the quality, condition and provenance of all the icons he sells because he has done a rigorous check on each and every one. Moreover, a good dealer always guarantees the authenticity of any icon that you buy from him. There is a famous saying in the art world: 'Every dealer gets the clients he deserves'. Art collections motivated by the hope of financial gain often prove to be poor investments. Collectors should be wary of works that appear to be bargains, for art chosen solely on the criterion of price will yield a mediocre collection that does not retain its value. It is collections formed with passion and intelligence that stand the test of time, emotionally, aesthetically and monetarily. Of course no one wants to buy a fake. A dealer with an extensive history of dealing in icons will have an expansive archive of information, plus a wealth of experience that can help to resolve questions of authenticity. Experienced art dealers and collectors all agree: it is always advisable to buy the best you can afford. The most effective way to develop an eye for quality is to look at a lot of icons, and no one looks at more icons than a good specialist dealer. Icon dealers are skilled at assessing the relative aesthetic merits of any given piece and evaluating it within the larger context of art history. Although there are exceptions, rarity tends to enhance value. The condition of an icon is important, and a reputable dealer will inform a client of restorations and any form of over painting. 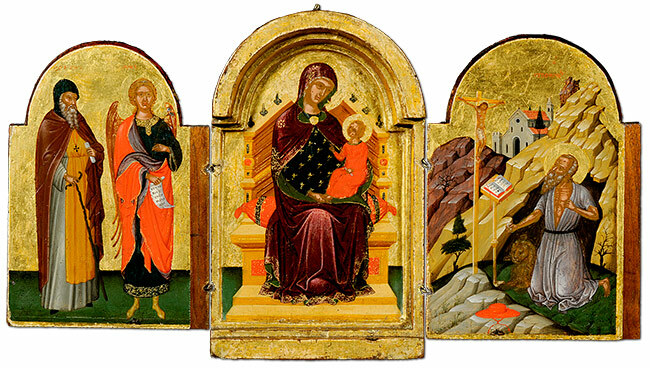 Specialist dealers see a great many icons so they are uniquely qualified to assess the significance of repairs. An important point to bear in mind: inept restoration can impair value even more than neglect. A good provenance can help establish authenticity, art-historical importance and title. Similarly, inclusion in significant exhibitions may enhance a work's pedigree through documentation and curatorial approval. However, the absence of a complete provenance need not be a cause for alarm, provided you are working with a reputable dealer. And always be aware: professional fakes tend to come with a nice 'provenance'.